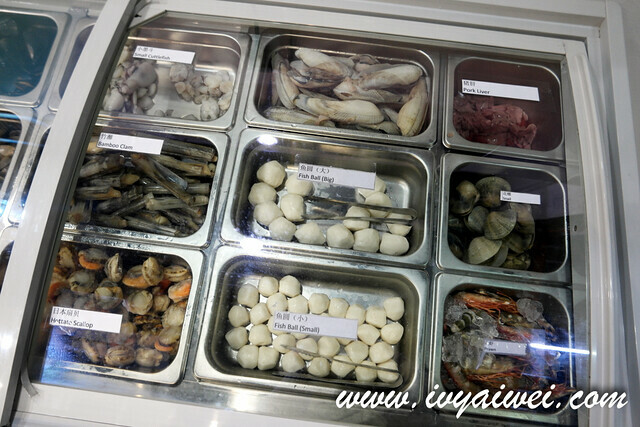 Puchong is another food hub, a serious food hub where all the eateries are populated over here. 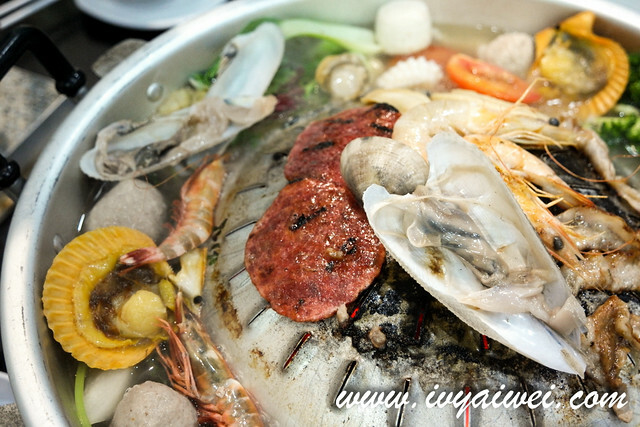 The very first place I came across this area years back, I find Puchong is the place for steamboat; of those all-you-can-eat types of steamboat. 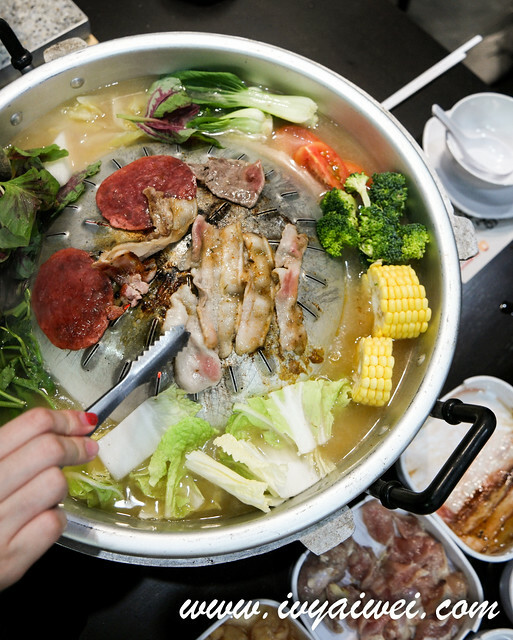 A latest addition to this food hub is thai style all-you-can-eat BBQ steamboat. 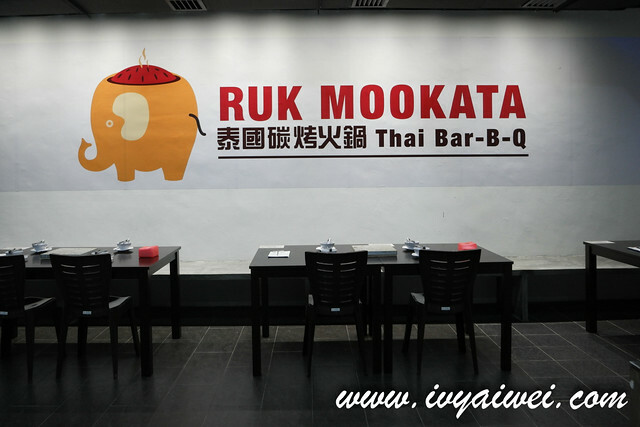 Ruk means Love in Thai, while mookata means pork + BBQ. 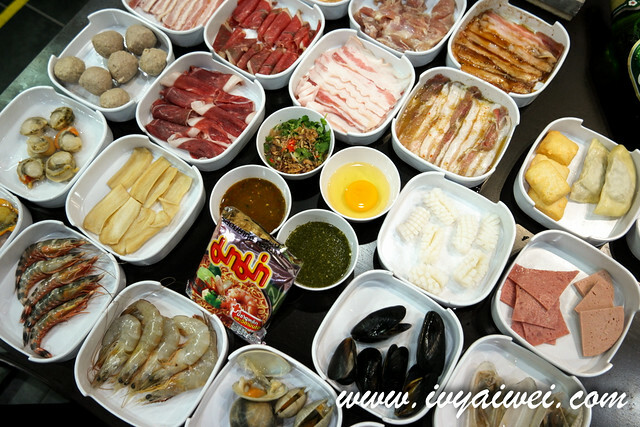 Hence, it is literally translated into Love Thai BBQ. 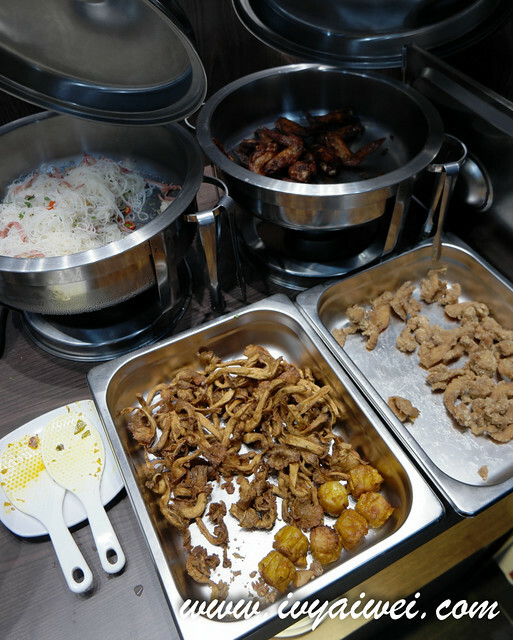 At just Rm 43.8 nett for adult and Rm 20 nett for children, it offers the all-you-can-eat deal where you can eat until your stomach burst. 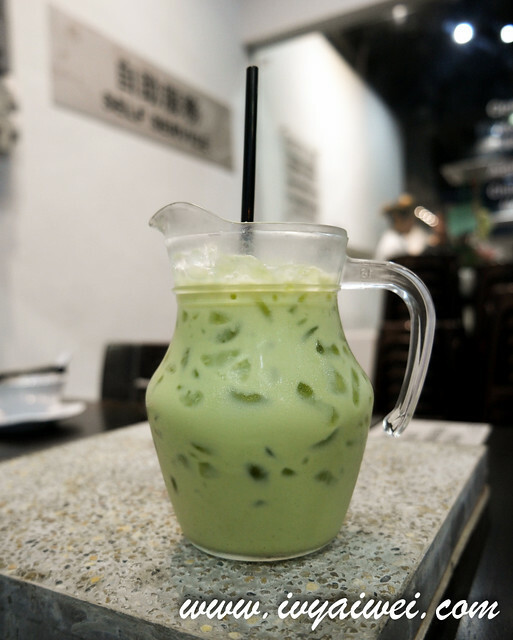 Every patrons will be served with their Signature Thai Green Tea which was milky with mild green tea taste. Way too milky though. 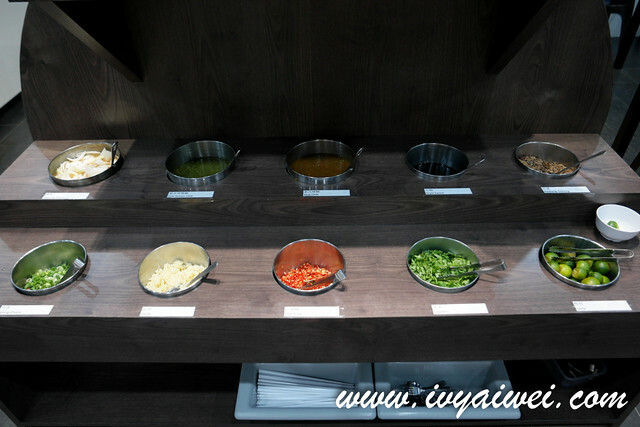 Personally preference, maybe I prefer something more refreshing and sourish when it comes to buffet. 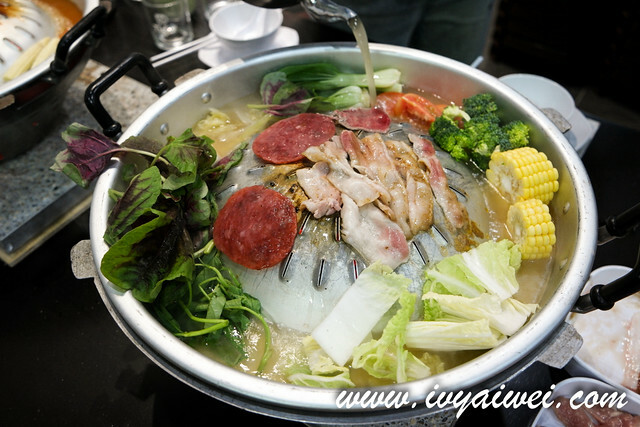 They serve the BBQ with the special mookata pot, looks quite similar to the UFO where the upper part is used for BBQ while the lower part is to fill up with soup and cook the fresh ingredients in a steamboat way. 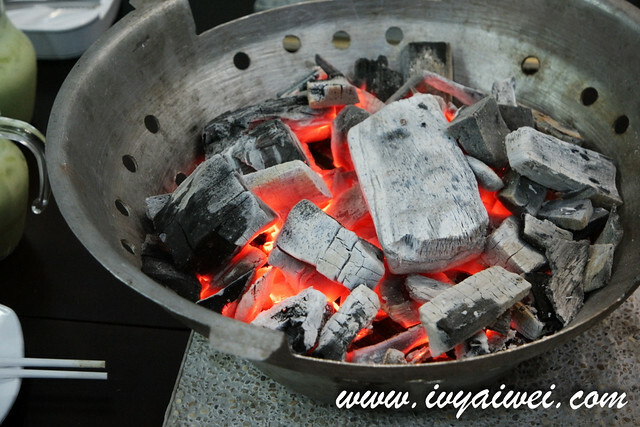 Most importantly, they are using the charcoal fire for BBQ and steamboat-ing the food. The service staffs are pretty attentive. 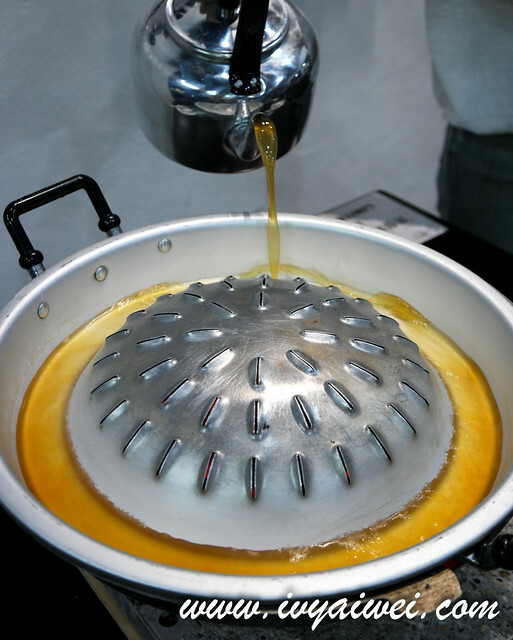 They will keep offering the lard for BBQ and exchange the mookata pot when it turns black or burnt. 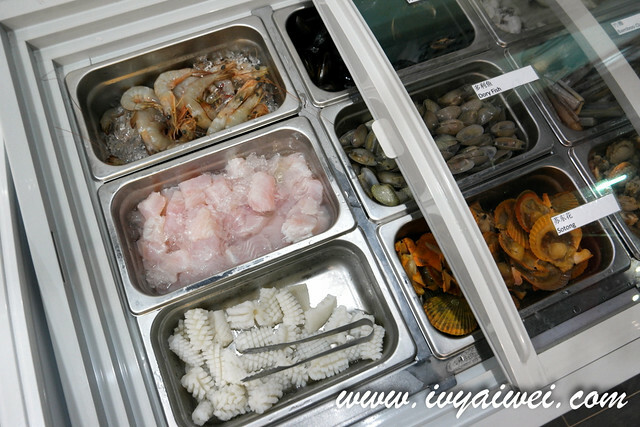 There are 2 kinds of soup base for the patrons to choose from – Original Clear Soup Base and Tom Yum Soup Base. 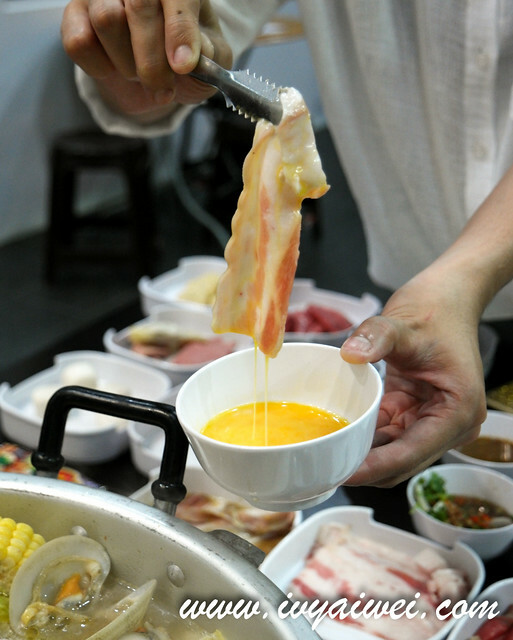 Their soup base is made of pork bone, boiled over low fire for hours which result this rich clear soup base. 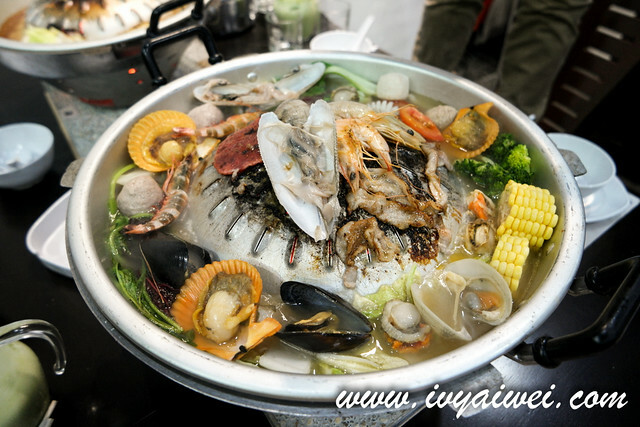 When the proteins, be it meat or seafood added into the soup, all the sweet essence stayed and locked in the soup. To be honest, I kept on spooning the soup one spoonful after another. 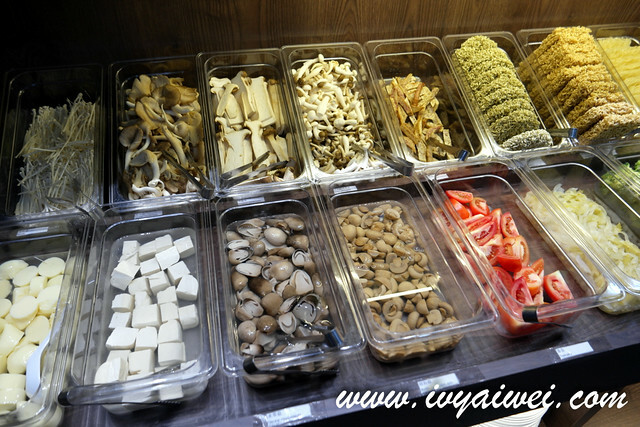 As for the tom yum soup base, spices are added into the same clear soup base for the sourish and appetizing tom yum soup. 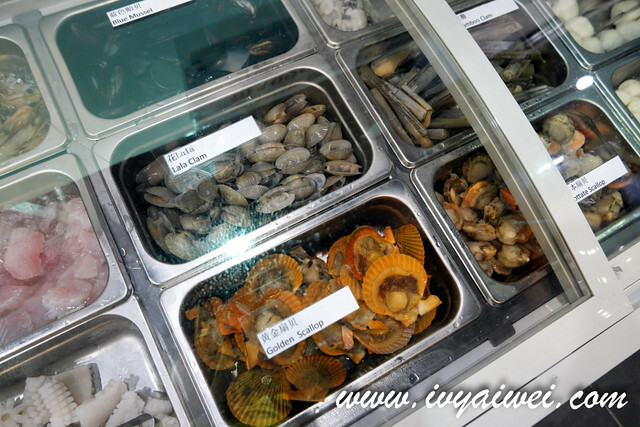 Prawns, mussels, scallops, fish balls, pork balls, fishcake tofu, dumplings, squids, vegetables and greens and etc are available at the self-service counter. 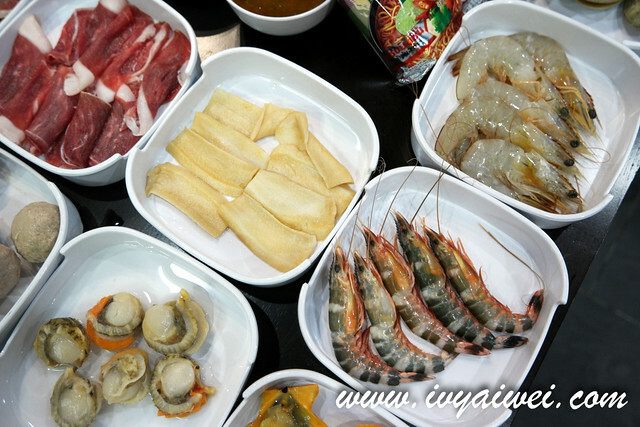 While the sliced meat such as pork, lambs, beef and chicken; marinated or non-marinated are prepared upon order. 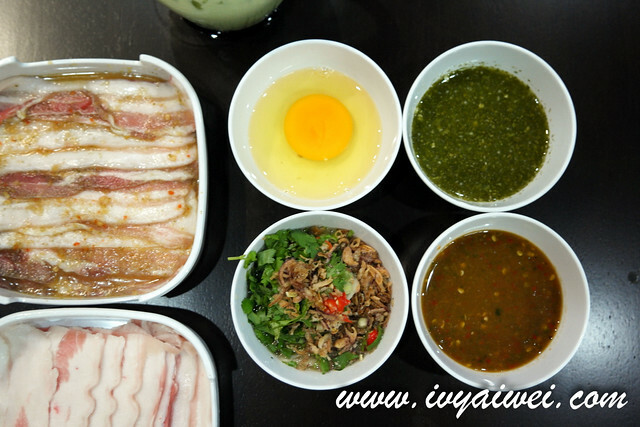 I fancied the marinated pork belly slices the most. It was seasoned in the Thai way, spicy and sourish after grilling over the pan. 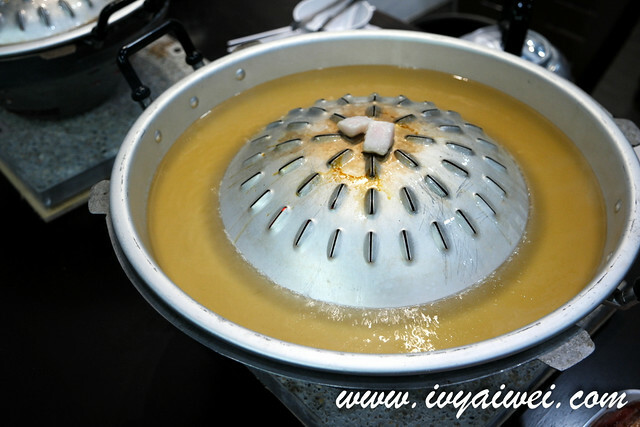 We were also taught to dip the meat slices in the raw egg before cooking as it will give the extra smoothness to the meat. 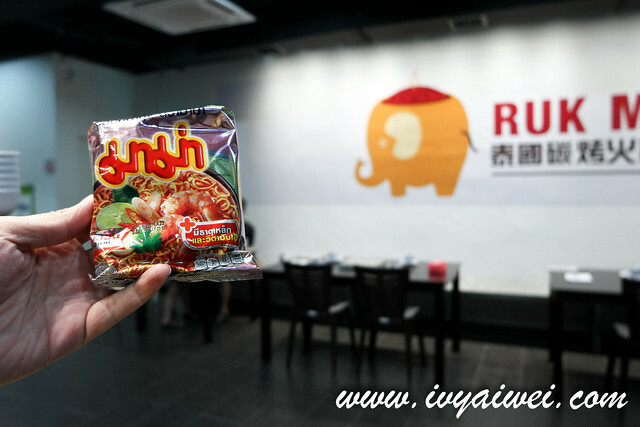 There are Thai instant noodles too!!! Bakkwa (Rm 8.9) requires additional charges on it but I can assure that you won’t regret ordering this. 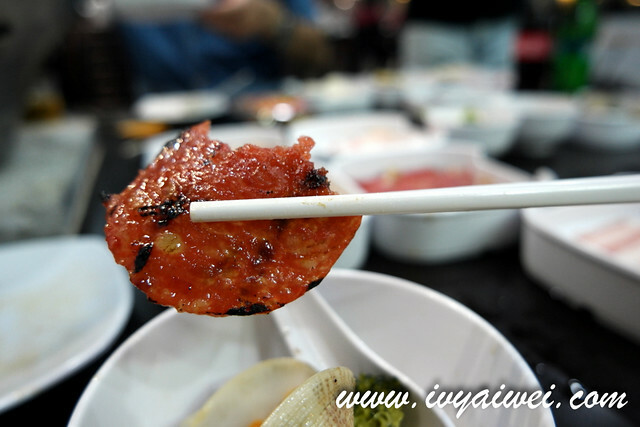 The slices of Bakkwa were caramelized and crispy after grilling over the pan. I was hooked on it for its sweet scent and the crispy burnt edges. Too good and we had 2 helpings on this. BBQ night definitely must go with some beers! Chang beer and Singha are in the house, imported from Thailand. 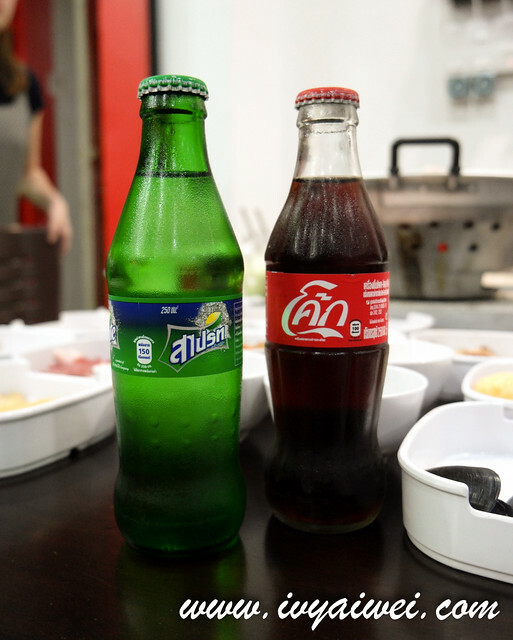 Also the very classic bottled coke and seven up and also Thai ice cream too, are from Thailand! 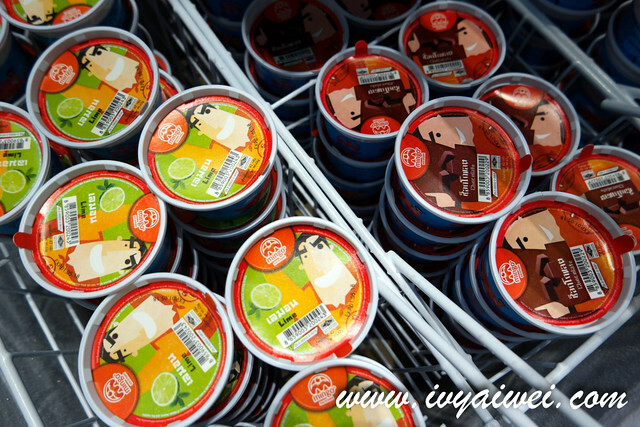 Must have the lime flavour ice cream. 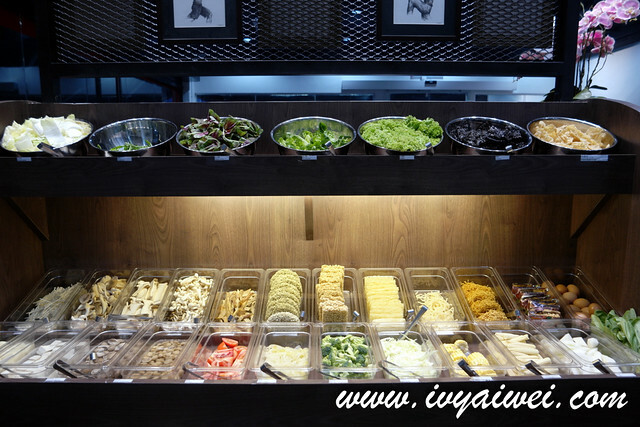 Getting hungry just looking at the pictures. 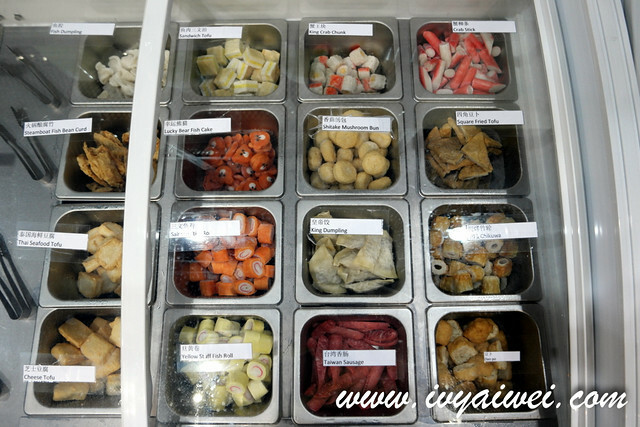 Hope to check it out soon when I’m in the area!